Fiddleback maple and black pakkawood. Yummy! Those are mighty fine my man! 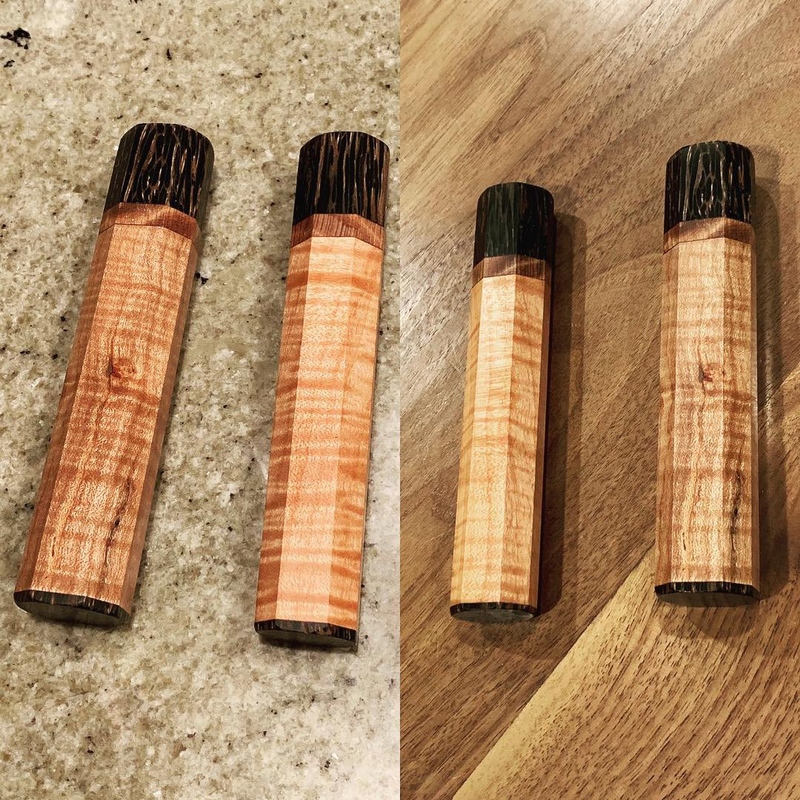 Black pakkawood, maple, curly redwood. This one went to the “master of the smooth cut” as some people say. 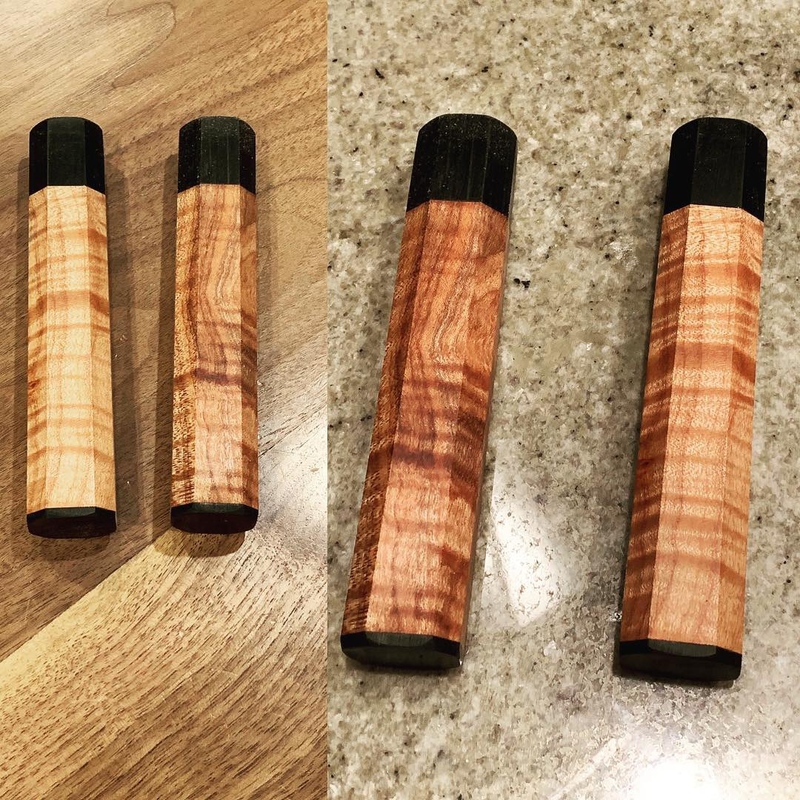 Curly redwood, elm, and Indian ebony. If you guys like this redwood, you will really like the sugi cedar that just came in. ringed gidgee with maple and Blackwood. 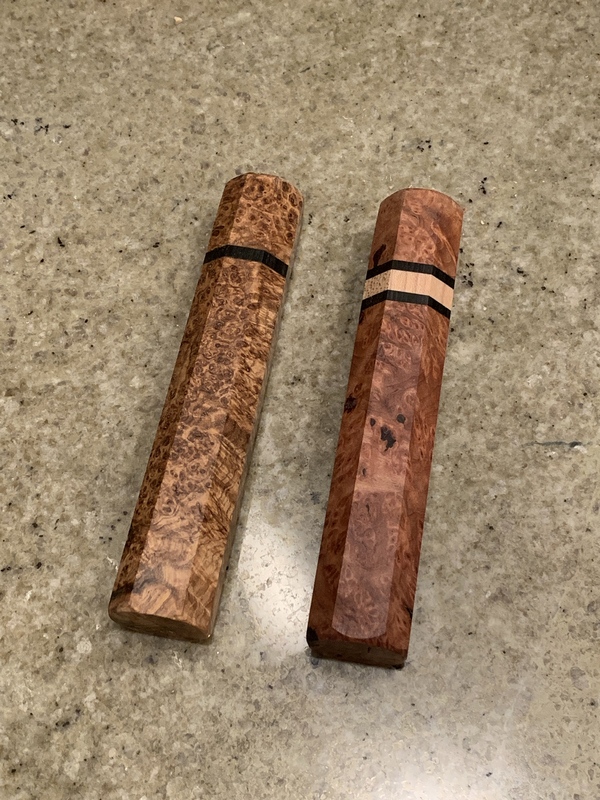 Redwood and curly maple, shipped overseas! A lot of great handles this month Ben, keeping an eye on you! 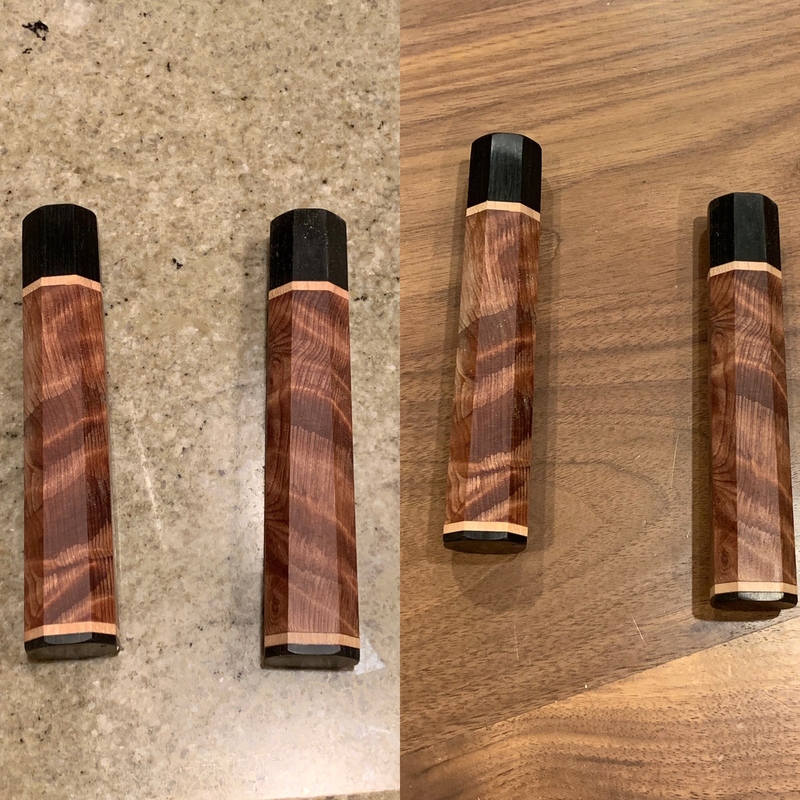 Dessert Ironwood Burl, Black pakkawood, and mahogany! Love this combo. Zerbrawood with a black ferrule and endcap. Customer designed, classy and elegant. 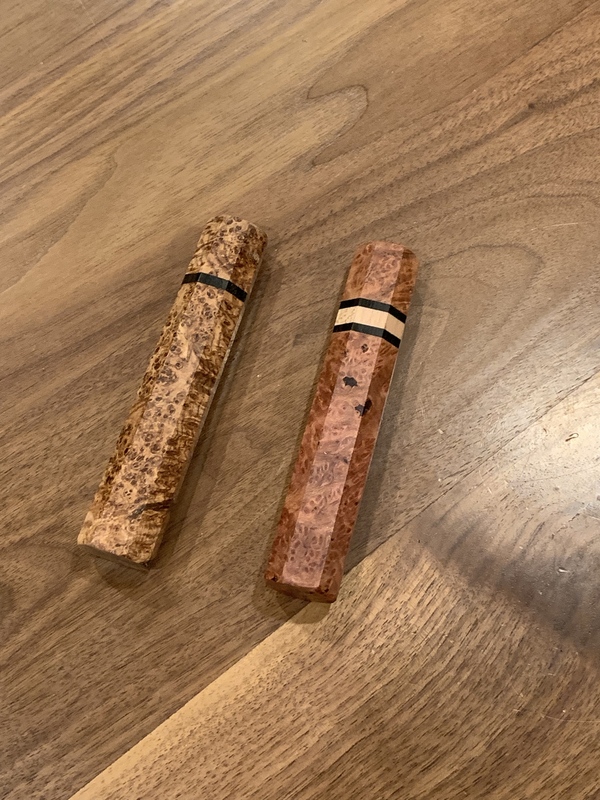 Rosewood pakkawood/black pakkawood/zebrawood, all wrapped up in a nice little package and shipped overseas. Ok tech savvy folks - why do the IG links not show up on my mobile?